The work is mainly about language and shapes it can generate. Influenced as much by art, poetry and typography. Cédric Fenet is involved in many various collective art and publishing projects. In 2010 he creates the publisher OPOALQQ, wich mainly publish lost and found poetry. - I Really Do - c/o OPOALQQ, Paris. - Mais je ne sais quel œil par accidents nouveaux - Pavillon de l'Indochine, Paris. - Cargo Culte II - Librairie Florence Loewy, Paris. - Zone Autonome Mutualisée - Le Vivarium, Biennale Off de Rennes. Each word deserves its own graphic form. 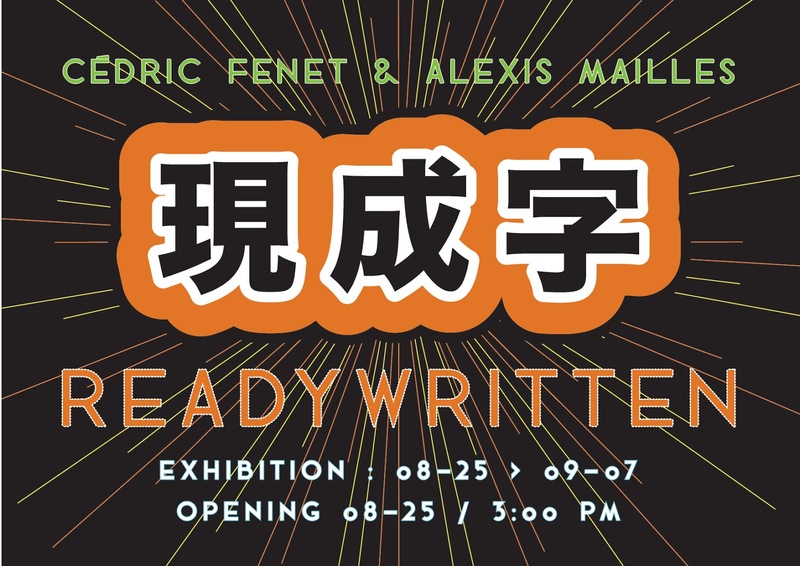 At Instant 42, Readywritten becomes an installation, mixing Alexis Mailles light and sound work and Cédric Fenet's logotypes in an urban visual and sound poem.